Jalandhar: LPU sportswomen have won All India Inter University Softball (W) Championship by defeating strong contenders in league matches- Punjab University Chandigarh (10 – 01), GNDU Amritsar (03 – 01) & Delhi University (04 – 01). As such, LPU topped the league with 3 wins and 15 points to be on the first position. Prior to these matches LPU players also exhibited finest softball skills for knockout- rounds and gathered applaud from spectators. In knockout matches, LPU team won over Osmania University Hyderabad by 7-0, RGPV Bhopal by 10-0, University of Calicut by 8-0 and Solapur University by 4-0. The championship was held at host Acharya Nagarjuna University Guntur (Andhra Pradesh), where 46 universities from all across India participated to grab the coveted trophy. Each of the LPU team members was also honoured with gold Medal of the tournament. After exciting opening round of games, the tempo to grab the top prize was worth analyzing to assess the agility of LPU women players. 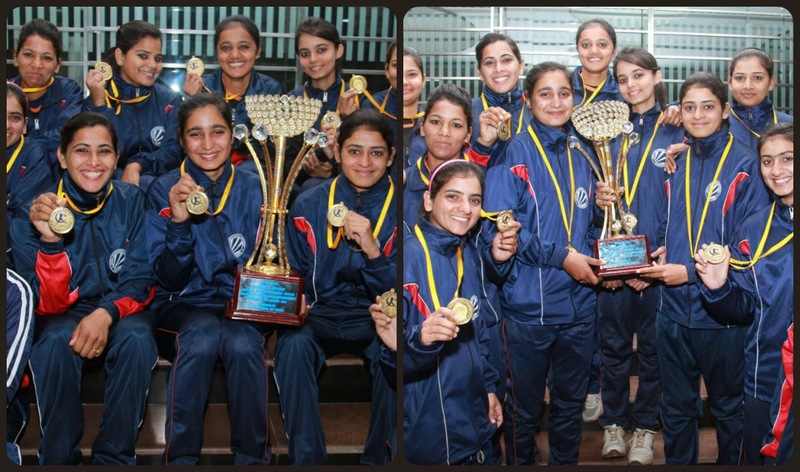 Only due to this unique quality, LPU women led the way in a ‘battle’ for the national title. Despite the form and credentials of both the LPU and PUC teams, the final league match of the championship turned out lop-sided in place of being a hot contest. LPU players positioned for proven playing skills and did not allow the opponents to score even a single. The agile LPU team was comprised of 14 members: Khushpreet (Captain), Aarti (Pitcher), Rekha (Catcher), Madhvi (Short Stop), Monika (First Base), Amandeep & Diksha (Second Base), Amandeep-II & Neetu (Center Out), Veerpal (Third Base), Jagdish & Avneet (Right Out), Jaganjeet & Neelima (Left Out). In order to share your thoughts on the time of Happy new year 2017 we came to help you in a supportive method. If you unable state straightforwardly to your favorite persons, you can use our welcome 2017 images, Happy new year 2017 hd wallpaper to send or share using different messaging platforms. I definitely enjoyed my first read throughout this post. Have a look at:Whatsapp Dare. Congratulations are in order to the LPU sportswomen who won all Indian inter University softball championship trophy. They have proved that hard work pays and they should transfer the same spirit to their academic performance but they should not hesitate to seek writing help from Essay Editing Service whenever they experience problems while writing their essays. The satta matka guessing forum Original Website Provide Fast Matka Result site. Hi sir, your site is affectionately adjusted and spared as much as date. So it ought to be, a debt of gratitude is in order for offering this to us. I additionally discovered some accommodating locales like yours. Download PES 2018 APK, Pro Evolution Soccer 2018 Latest version 2.3.1 for Android. The most realistic soccer game on Android. PES 2018 PRO EVOLUTION SOCCER is the latest version of this amazing Konami for Microsoft Windows, PlayStation 3, PlayStation 4, Xbox 360 and Xbox One. .We provide doorstep service at any time in the Hyderabad and Secunderabad zones. Thugs of Hindostan is a Hindi movie starring Amitabh Bachchan, Aamir Khan, Fatima Sana Shaikh and Katrina Kaif in prominent roles. of the film with Thugs of Hindostan Movie Box Office Collection Review, Cast, Actors, Actress, Story etc. Hindostan is a Hindi movie Release 2018 Amitabh Bachchan, Aamir Khan, Best Actor roles. How to download iMessage for PC windows 10,8,7 via iPadian emulator. Few Steps to get the most popular messenger "iMessage" on your Windows Computer. hello LPU, your article is awesome. Girls of lpu always perform a great performance in every year. Recently, many women hockey team also played international cups in various places. Now in November hockey world cup 2018 ( http://hockeyworldcups.com ) also played between 16 teams. If you are looking for Dream League Soccer Kits then visit below links.